SG Food on Foot | Singapore Food Blog | Best Singapore Food | Singapore Food Reviews: What's the silliest thing you've done with your siblings during Lunar New Year? What's the silliest thing you've done with your siblings during Lunar New Year? What does Lunar New Year mean to you? 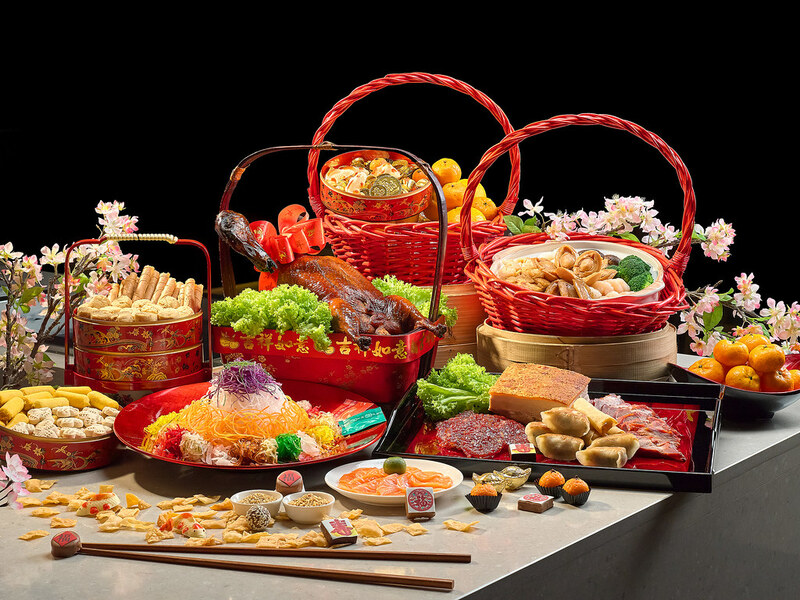 Is it a time for feasting, house visiting, getting red packets or just a holiday? For me it is about "Bonding" - spending time and sharing the fun and laughter with your families, friends and loved ones. Most of us are usually too busy with our individual commitments or may have been living/working abroad. Lunar New Year is the time for us to catch up with one another, to reminisce and strengthen the bonds with one another. This is the time to gather and re-ignite that emotional attachment with your families, friends and loved ones. In our family, during Lunar New Year, this form of bonding is always fun and at times comes with many silly moments. For example, my siblings and I love pineapple tarts and we will be fighting to see who can eat the most. During our younger days, we would even imitate lion dancing in the house. Now we are too old for it but that does not stop us from joining in the fun with our nieces sometimes. What's the silliest thing you've done with your siblings during Lunar New Year? Share your stories on HSBC Singapore’s Facebook page and stand to win S$100 worth of dining vouchers from Conrad Centennial Singapore or a festive hamper from DEAN & DELUCA. Do take this Lunar New Year to spend time with your families, friends and loved ones, with some of these great offers for HSBC Credit Cardholders. Usher in the Year of the Rooster at Ellenborough Market Cafe with a sumptuous spread specially curated for the Lunar New Year. The newly refurbished restaurant offers a selection of fresh seafood on ice such as Teochew Steamed Crab and Chilled Drunken Canadian Black Mussel. Not to miss are hot starters such as BBQ Bak Kwa Coins and Soft Shell Crab with Thai Basil Sauce. Famed for their Nonya food, the feast continues with the signature Ayam Buah Keluak, Babi Pongteh, Kueh Pie Tie and Waxed Duck Rice. For dinner, diners can savour a selection of roasted meats including Roasted Duck, Roasted Char Siew, Roasted Crispy Chicken and Roasted Pork. A must try is their signature Durian Pengat while festive goodies such as Tempura Fried “Nian Gao”, Durian Cheese Cake and Mandarin Orange Chocolate Fountain will guarantee a sweet ending to your celebrations. In addition, celebrate with panache and raise a toast with free-flow of Moët & Chandon Champagne at just $45 per person or red/white wine at $35 per person. 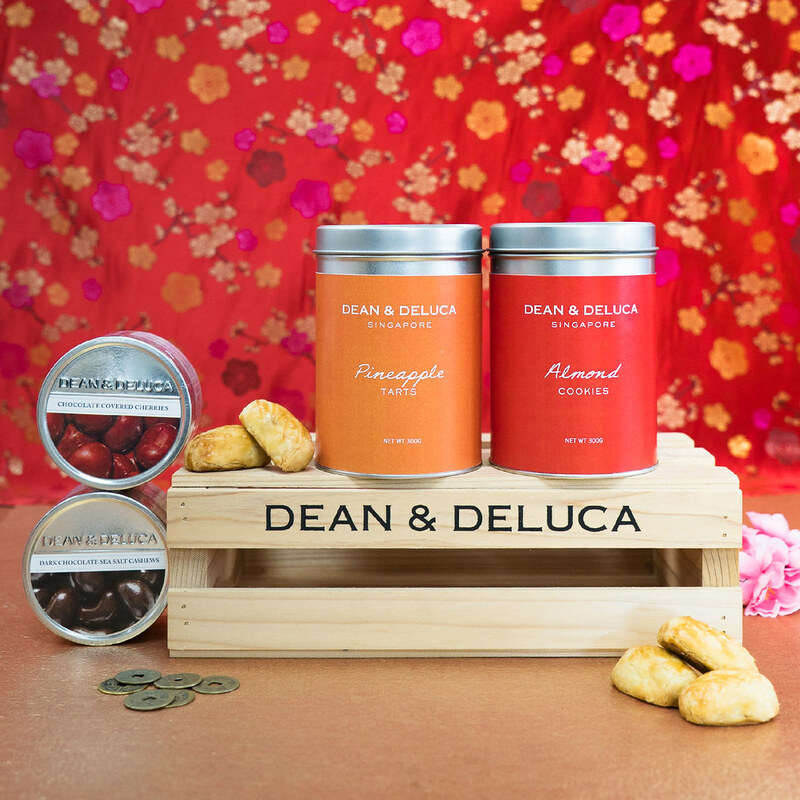 This Lunar New Year, DEAN & DELUCA (New York gourmet retailer) will tantalise your taste buds with their traditional Lunar New Year goodies such as Pineapple Tarts and Almond Cookies. The pineapple tarts and almond cookies are available in individual tins at $18 each. Great for gifting is the beautifully packed Harmony, Abundance and Treasure Gift Sets (ranging from $58 to $88). The gift sets are available for pre-order online or via e-catalogue. - 10% off festive hamper purchases. 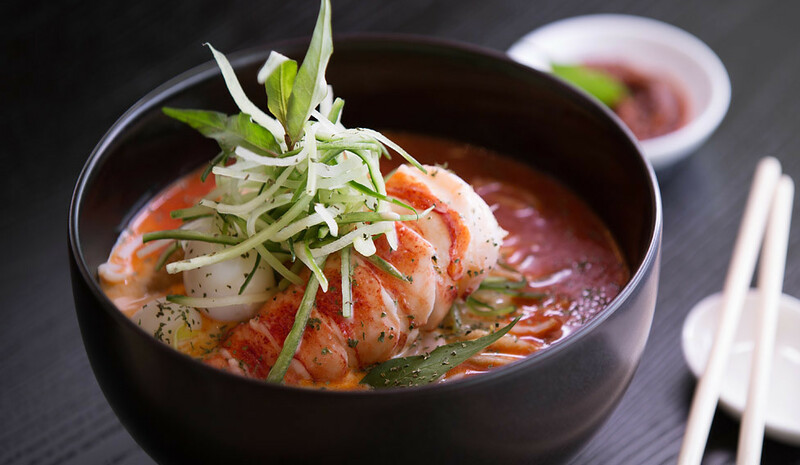 JW Marriott Singapore South Beach is one of the newest hotels recently opened in Singapore and has a total of five dining establishments and bars, which includes Beach Road Kitchen, the all day dining buffet restaurant. The 247 seater restaurant showcases fresh offerings and boasts a variety of live stations, offering a stunning international spread that will delight the diners. Highlights from the buffet’s feature stations include a seafood room, vertical salad bar, pizza oven and a dessert showcase. For an exclusive dining experience, guests can book a Chef’s Table session and dine in the heart of the kitchen. They also have a take-out window for grab and go items and premium coffee. - 15% off Lunch and Dinner Buffet. - Offer is valid till 28 February, except on 14 February 2017. 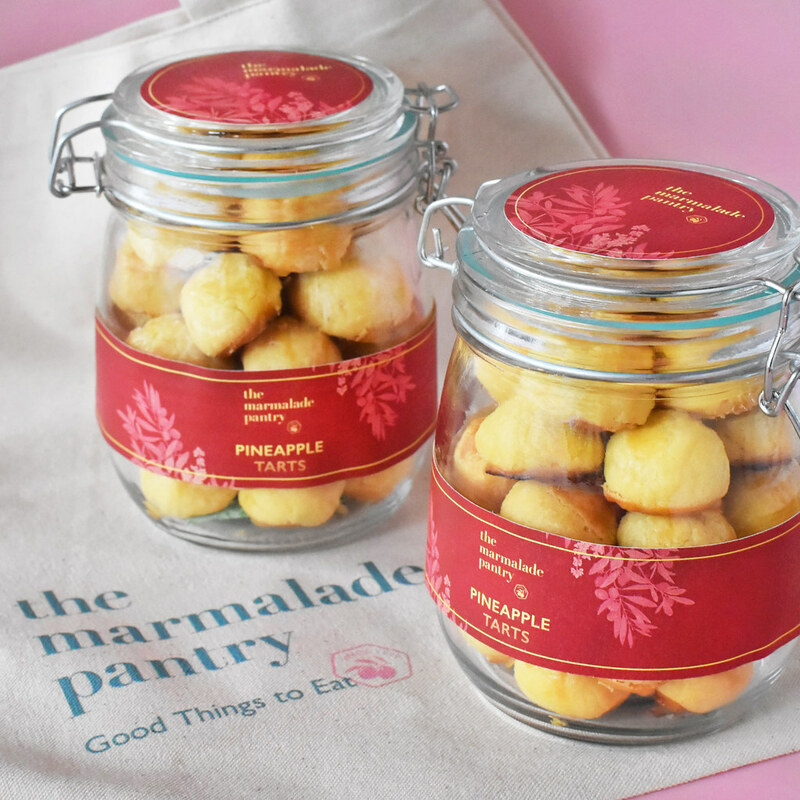 Ring in the Lunar New Year with The Marmalade Pantry's limited edition Pineapple Tarts ($28.80++/bottle) made with moist pineapple filling encased in a buttery, smooth pastry that comes with a kick of cinnamon and star anise. - 10% off festive goodies. - Offer is valid till 11 February at all Marmalade Pantry outlets. Terms and conditions apply for all promotions herein.